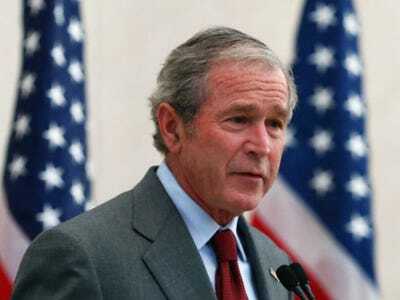 Former President George W. Bush sent an incredible reply after another ex-president, Bill Clinton, asked why he wasn’t on Twitter Wednesday evening. 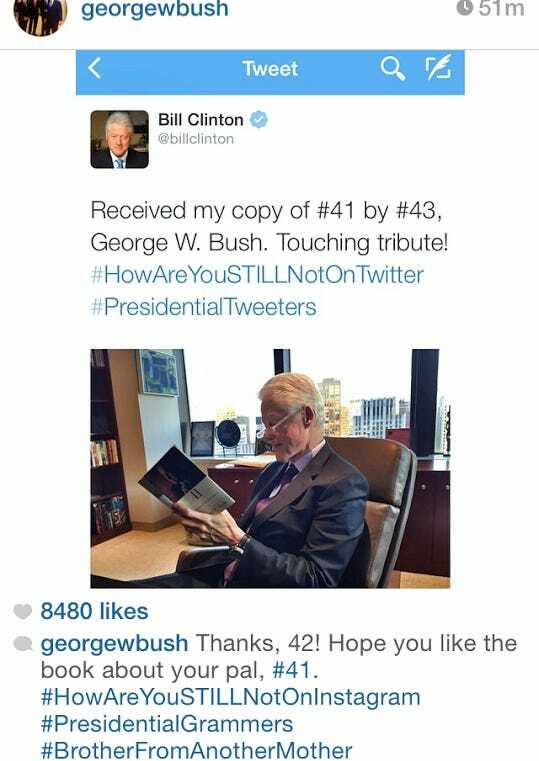 Clinton questioned Bush with a tweet saying he received his copy of “41: A Portrait of My Father,” Bush’s biography of his dad, former President George H.W. Bush. In the message, Clinton asked why Bush had not joined Twitter. This is almost certainly the first time two former presidents have referred to themselves as brothers from another mother. Both Bush and Clinton could find themselves involved in the 2016 presidential race. Clinton’s wife, Hillary Clinton, is widely considered the Democratic frontrunner and there is mounting speculation Bush’s brother, former Florida Gov. Jeb Bush, could run on the Republican side.